I am sure you are all serving the traditional foods: potato salad, something on the grill, some fancy desert and watermelon. 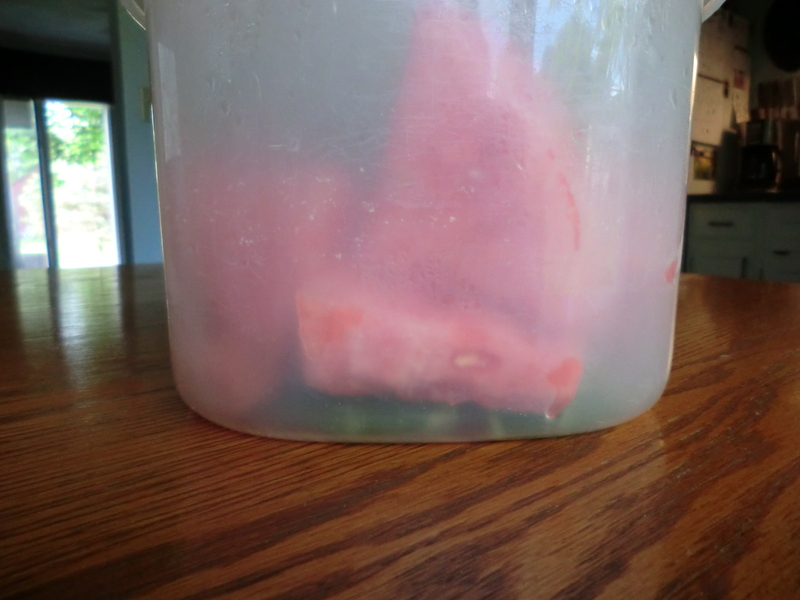 Here is a trick to help the leftover watermelon last longer. When I cut the ends off of the washed, quartered watermelon, I put them skin side up in my container. I then put the extra watermelon on top. It keeps it from sitting in its own juice which makes is spoil faster.